LCN nail products represent the highest standards in quality and effectiveness giving you a wide range of results driven treatments. LCN nail care stands for healthy nails. It doesn’t matter whether you are using our UV gels, our nail care treatments or our natural nail care programme, we only use the very best ingredients and the gentlest of products. The range is comprehensive. Whatever your preferences, we can offer you a range of professional products for effective treatments and perfect results, backed by a wide choice of “must have” items. 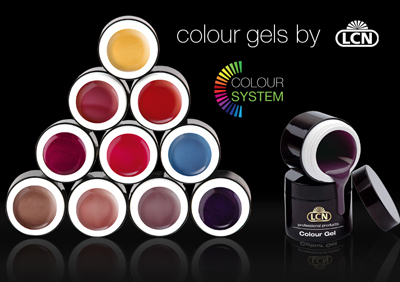 No nail care range would be complete without a stunning selection of coloured polishes + gels. Our assortment of colours is the embodiment of temptation itself. The Natural Nail Care programme (NNC) is a highly effective, prescriptive treatment programme based on the latest scientific findings. Nails that need a little TLC soon become strong, healthy and beautiful. 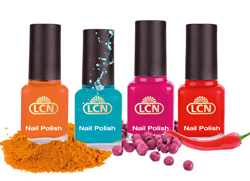 LCN’s high performance UV gel systems are manufactured with your health and wellbeing as number one priority. With a wide range, starting from clear to french, to colour, to glitter, the choice is yours!